A stylish, 1930s art deco armchair with circular bergere panel to rear, and decorative hand painted centre. 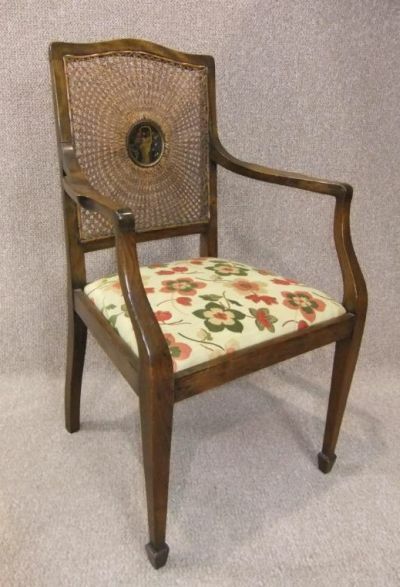 This chair is in lovely condition, and we believe the timber to be either walnut or beech; an ideal chair for any dressing table, hallway or desk. This art deco armchair is in good sound condition, and the seat pad can be easily removed and recovered to suit your required taste. This is one of four matching chairs that we have listed. Please contact us if you require more than one.